Good Day and Happy you stopped by! Today I am sharing a fun sew along going on over at Fat Quarter Shop. Lori Holt of Bee in my Bonnet wrote another adorable book which features complete instructions for 100 letter, number, punctuaction and picture blocks in two sizes plus 18 quilt projects! 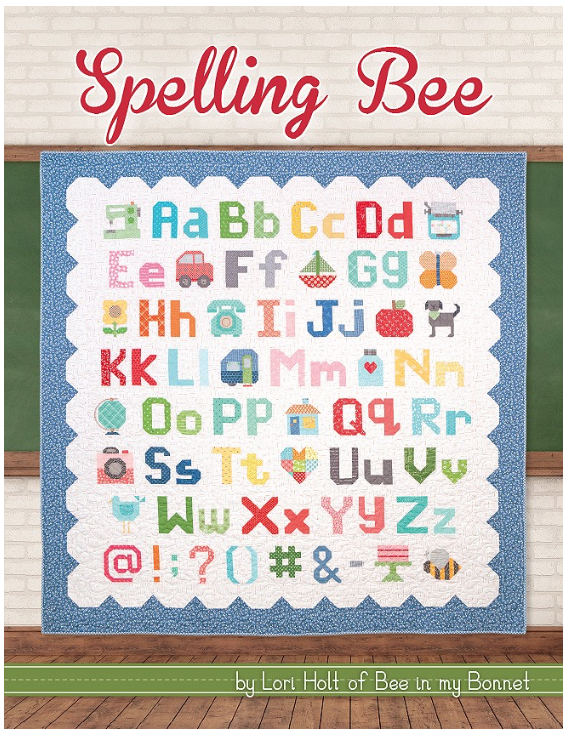 This Sew Along will feature 88 of the blocks from the Spelling Bee Book. 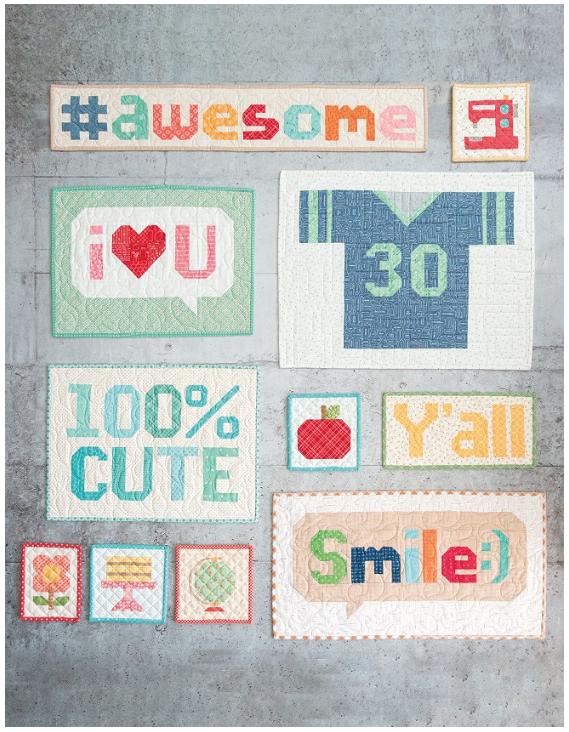 This is just a sampling the blocks and they are absolutely adorable. I am going to be sewing along, too. I have plans to make both my boys a name quilt - "Luc" and "Liam" - for Christmas. My hope is that they are not too old (they are 10 and 14 years old) to get a hand made quilt : ) I have already pulled the fabrics - a black and green combo for Liam and a blue/black combo for Luc.